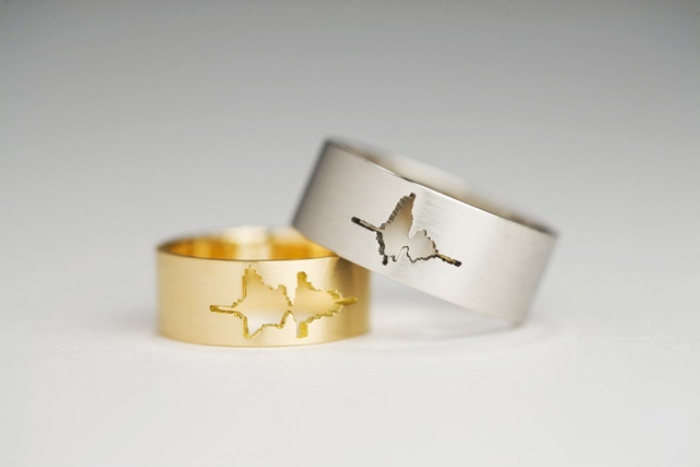 If you and your significant other live, breathe, and eat My Little Pony (figuratively, of course), then these wedding rings are just the rings for you. Real-life pony and brony Samantha J. Stroh and her fiance had these rings designed and made by Jason, who’s no stranger when it comes to My Little Pony stuff as he makes jewelry and accessories inspired by the franchise and sells them on his Etsy store, SilverSlingersGoods. 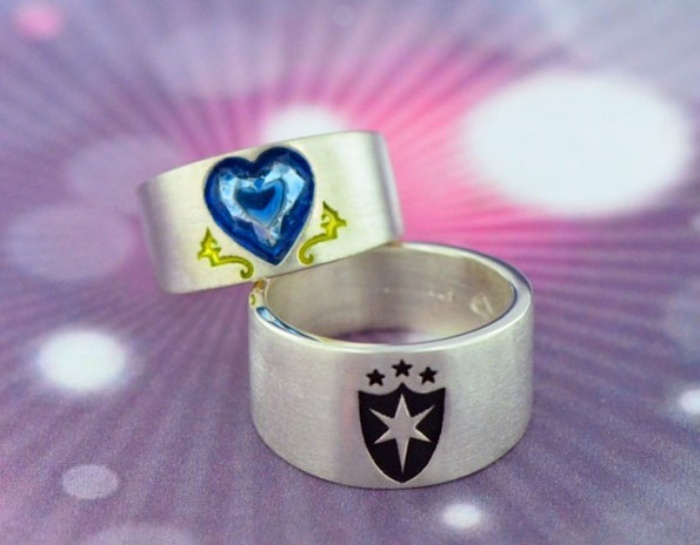 The ring for Samantha features the mark of Princess Cadence, while the ring for her fiance has the mark of the Shining Armor on it. By Hazel Chua on 12/13/13 • Leave a comment! If you’re getting hitched and want to do it in style, then you might consider breaking from the usual themes and traditions and going for something really loud and bold instead. 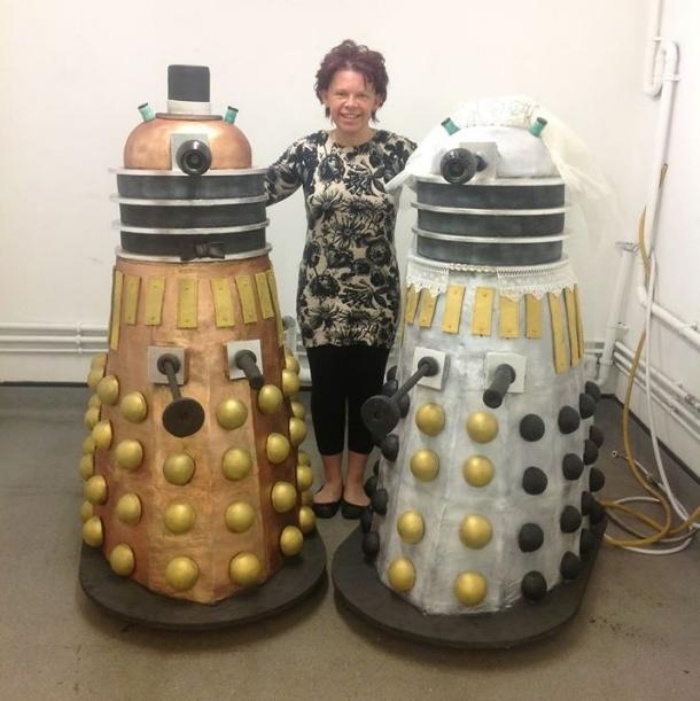 And if you happen to be a Whovian, then what better way to celebrate than to make some of the Doctor’s worst enemies a part of your party? 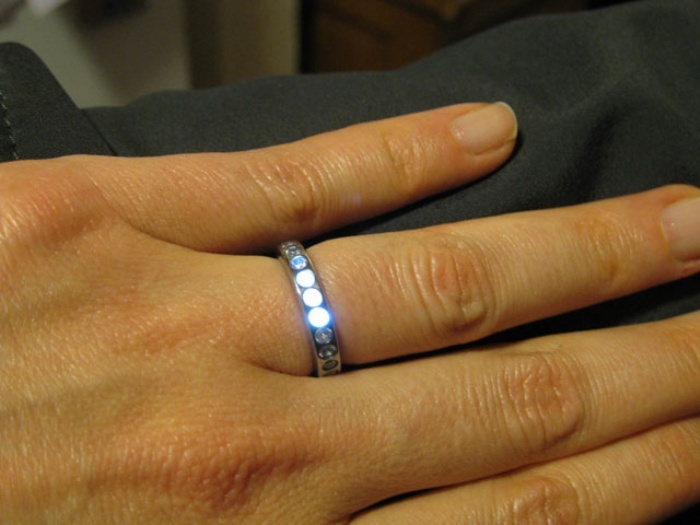 If you like it, then you should put a ring on it. But let’s do one up Beyonce and say that if you love her, then you’ll go ahead and build a ring for her. That’s what Ben Kokes did for his fiance. It took nearly four months and nine prototype versions before Ben was done with his project. 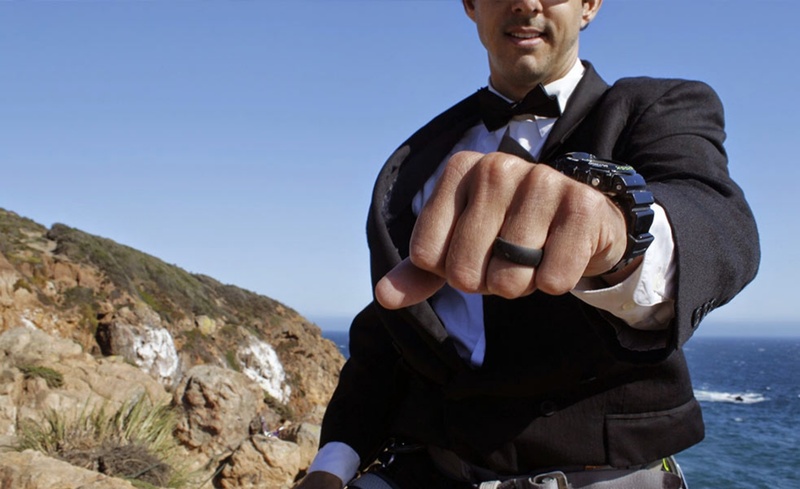 He presented the ring to his girl this month and she loved it so much that she decided to make it her permanent ring instead of going to the jeweler to get one. Pretty neat, huh? Ben started out by designing and developing a circuit that would be able to power up the ring inductively. In the end, he used a coil of wire wound around kaplon tape as the inductor and a small SMD capacitor to power up three tiny ultra-bright LEDs. Of course, both parties in a couple have already said “I do” to each other prior to buying the rings or walking down the aisle. 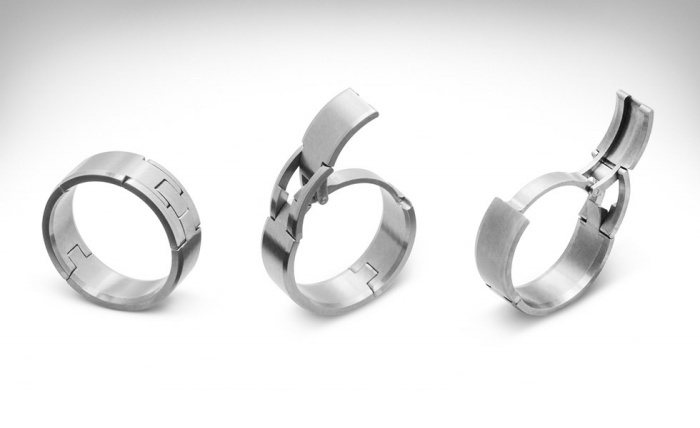 But nothing makes that point across or any clearer than these wedding bands by Japanese artist and designer Sakurako Shimizu. These custom-made bands are simplistic but contain a very strong message. Whether it’s “I do”, “Forever”, or “I Love You”, couples can say anything they want to and then wear it on their ring fingers afterwards. 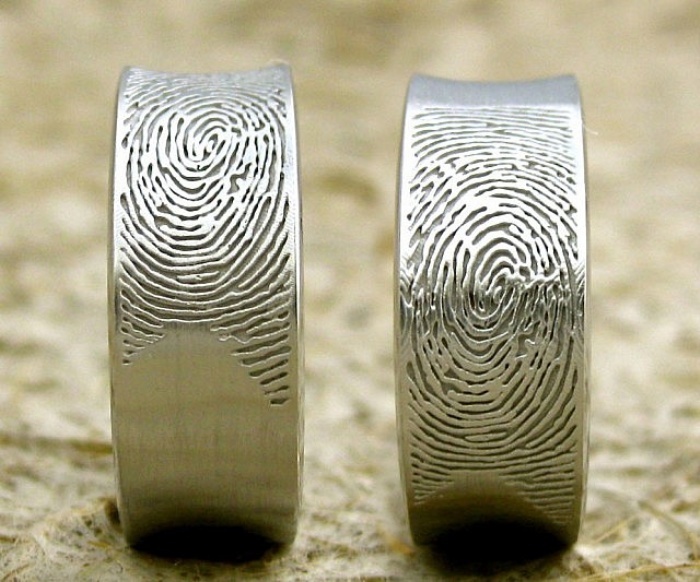 It sounds confusing, but that’s where the beauty and uniqueness of these rings lie: Shimuzu’s unique design will have the couple say their word or phrase of choice, which is then recorded. The wavelength form of these recordings will then be featured on the rings. The wavelength bands are available in silver, 18K and 14K white, yellow, and red gold, and platinum. 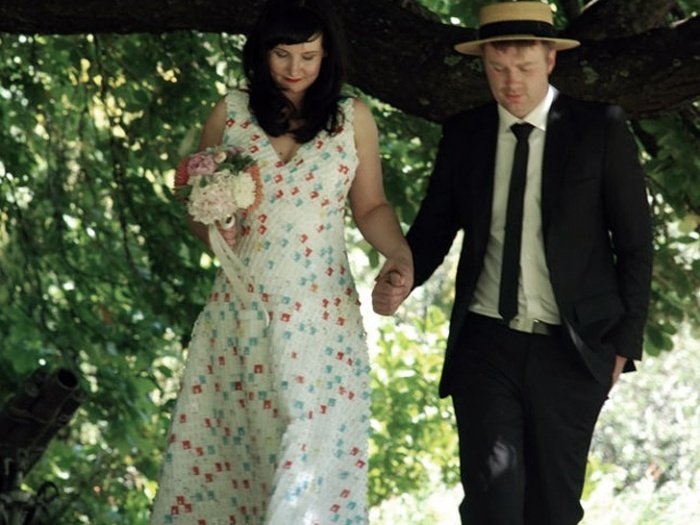 You know how some couples decide to do theme weddings that are either so sweet or so spot-on (or both) that it goes viral and the whole blogosphere reads about it in the next couple of days? 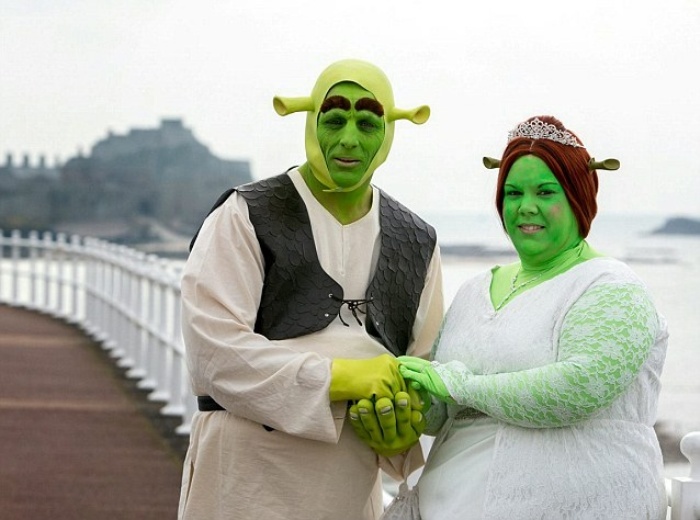 Well, we spotted another wedding that’ll probably make the rounds on the Internet, although for different reasons: the groom and the bride got married dressed and made up to look like Shrek and Fiona (in her ogre form), respectively. I mean, it’s still fairly sweet (what wedding isn’t?) and the costumes look pretty well made, but I just have to ask: Why?